Do wewe ship Quinn and Puck with anyone else but eachother? What do wewe think about the Friendship between Quinn & the New Guy? mashabiki wanachagua: It's Ruining Quick! It&# 39; s Ruining Quick! mashabiki wanachagua: No! Stand Faithfull! plz i need ur help!!! Which couple did wewe prefer most in Glee? everything i wanted to happen with the quick and beth story line is happening quinn wants her and puck to get full custody of beth since shelby moved back .....Does any one know if they will ( I HOPE THEY DO)!! CONTEST!!! Post your fave pic of Quinn and Puck, 1st prize - 20 props! Hi Guys! I'm cate and as part of a secret santa I'm doing, I've written my version of all the scenes in season one between Quinn and Puck for my friend morgan and I thought I'd post it here so wewe could all see it. I would've done some of the ones we've gotten in season three, but I wanted to rewatch them before I wrote about them and I couldn't find many of the scenes online. hope wewe like it, merry christmas! Season 3: Quinn goes Goth, Dyes Hair Pink, Smokes. Quinn was stupid for ever letting Puck go, and how long is the Finn/Rachel/Quinn pembetatu gonna go on, I mean, everybody knows that Finn doesn't upendo Quinn. And They also need to get rid of the Puck/Quinn/Santana pembetatu and just let them be. 7. Quinn andWhoever the Hell Quinn is with. Quinn and Puck have been SERIOUSLY lacking this entire season. For whatever reason, my and many others OTP has been basically dropped from the series, for reasons no one has ametoa maoni on. The only person who has - sort of - ametoa maoni on Quinn and Puck is Mark Salling, who tweeted a while zamani about their baby Beth's birthday, which gave a few of us some hope. Congratulations on winning Quick FOTM, Mon! How does it feel? Thank you! It feels great. I know I never go on the spot much, but when I do, I dedicate myself to it, because I truly upendo quick and to me their upendo will always live on. 1. The-Start-off-Question, Tell us something about yourself we don't already know. Okay, this is my first Quick fanfic... I'm a little nervous because I don't think it's very good... but I'm going to let wewe make the call. Hope wewe like it. Quinn wasn't sure what to think any more. One moment she was dating Finn, and everything was all right, but then Mr. Schue started Glee Club, and suddenly, she was pregnant, with Puck's kid and everything had spiralled out of control. But things were returning to normal. She was Head Cheerio, dating Sam, on good terms with Finn, and her baby was somewhere safe, with a mother and a father who loved her. She hoped. Congrats for winning the November/December Quick FOTM Joanna! How amazing does it feel to be the new Quick FOTM? 1. Usual question, tell us something about yourself we don't know yet? Congrats on winning Morgan! How does it feel to be a Quick FOTM? - It feels amazing, I am obsessed with this couple and this spot was one of the first that I joined when I got fanpop and all the Quickers were so welcoming. 1. Standard question: Tell us something about yourself we don't know yet. - I’m 17, live in England and I’m hoping to go to uni inayofuata mwaka to study philosophy. Okay, so the AMAZING Nat won the FOTM September.. FINALLY! I think we all were waiting for it. and there’s no secret that our girl is THE ultimate quicker. She got everything, and if it wasn’t for her, I think the Quicker spot would’ve been a whole different place. So happy I got to interview you! So proud of wewe babe! 1. For the crazy quickers, who doesn’t know you, tell us something about yourself. Ah, thank wewe so much people! I never in a billion years thought I would be sekunde to be FOTM, I had the orodha all worked out. If it weren’t for this fandom, I wouldn’t have met all wewe amazing people. Thank y’all so much! 1.First. Tell us something about yourself. And something we don’t know yet. 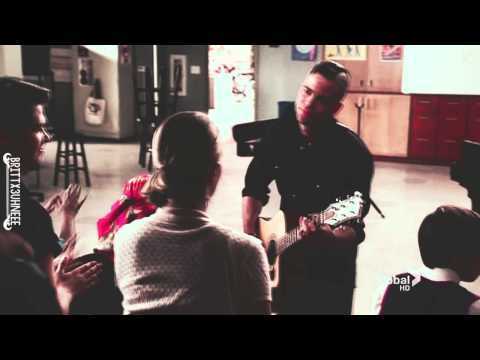 in the episode "Theatricality", what does puck say to quinn when he is done imba "beth"? "if its okay, i'd really like to be there when the baby is born." "if its okay with you, can we keep the baby?" "I upendo wewe so much right now". "Can we still name her Jackie, keep her and start a real family?"